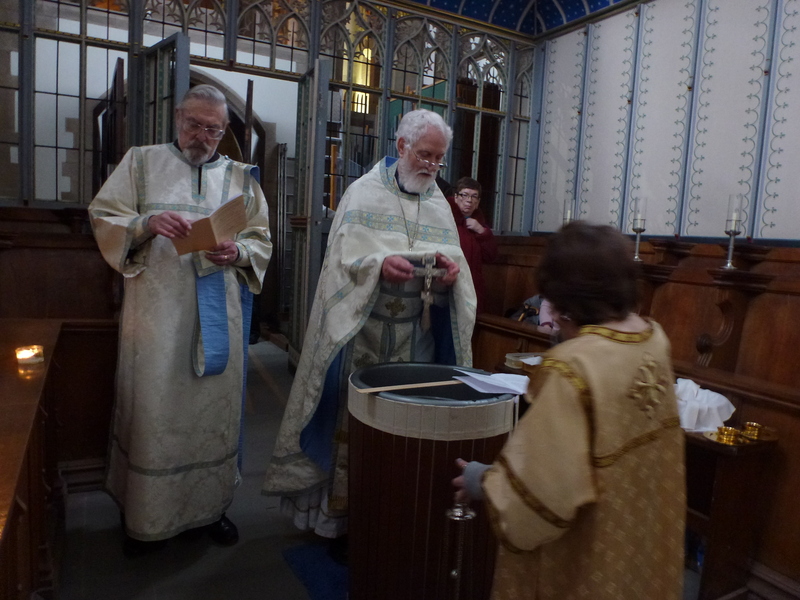 Divine Liturgy in The Eyre Chapel, Chesterfield, at 10.30 am, preceded by baptisms starting at 9.30 am. 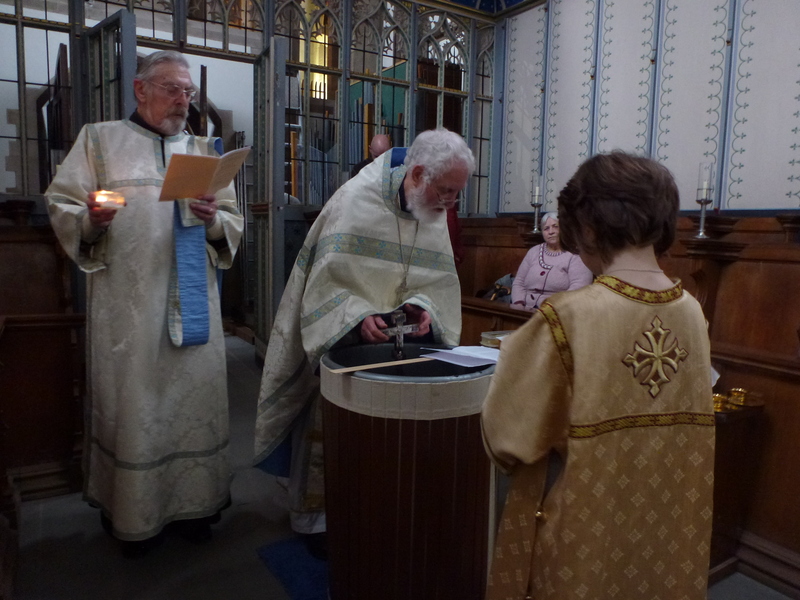 Father Stephen Freeman on the Feast – excellent, as always. A joyful feast to all! Please paste this link into your browser to see all the photographs from this beautiful sunny celebration. 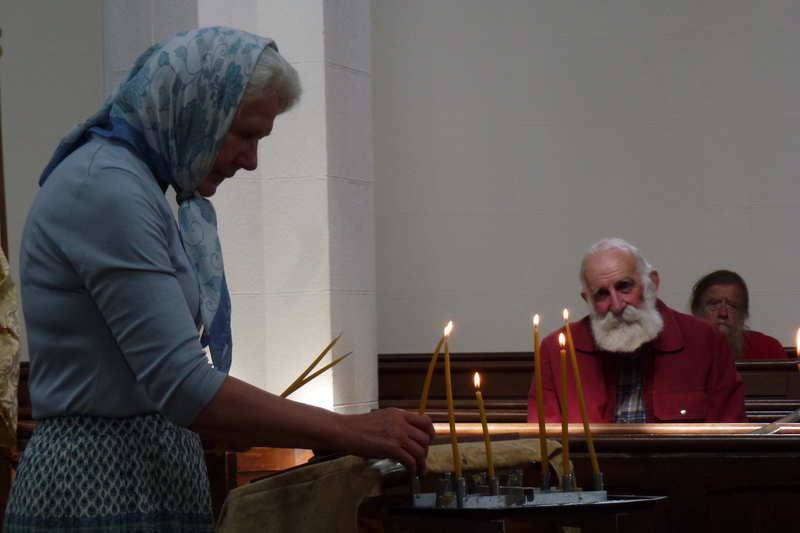 Saint Columba’s Orthodox Society is organising a meeting and talk on the occasion of the Feast of the Annunciation, on Tuesday 25th March, 18:00, in the Octagon Centre, University of Sheffield. Father Edwin Hunt will attend and will serve Vespers. For more details and directions, please visit saintcolumbasociety.wordpress.com or www.facebook.com/StColumbaOrthodoxSheffield. 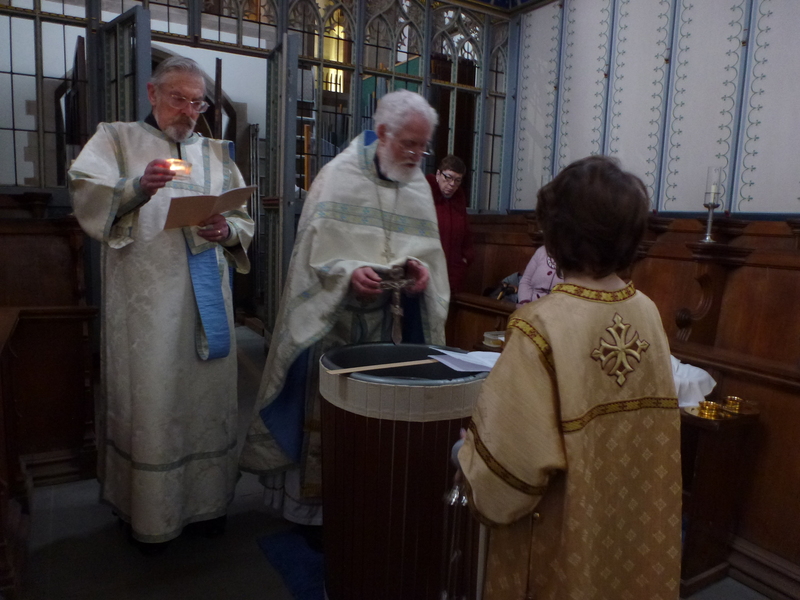 We celebrated the Feast of the Theophany together at our Sheffield Liturgy on Saturday, January 4th. 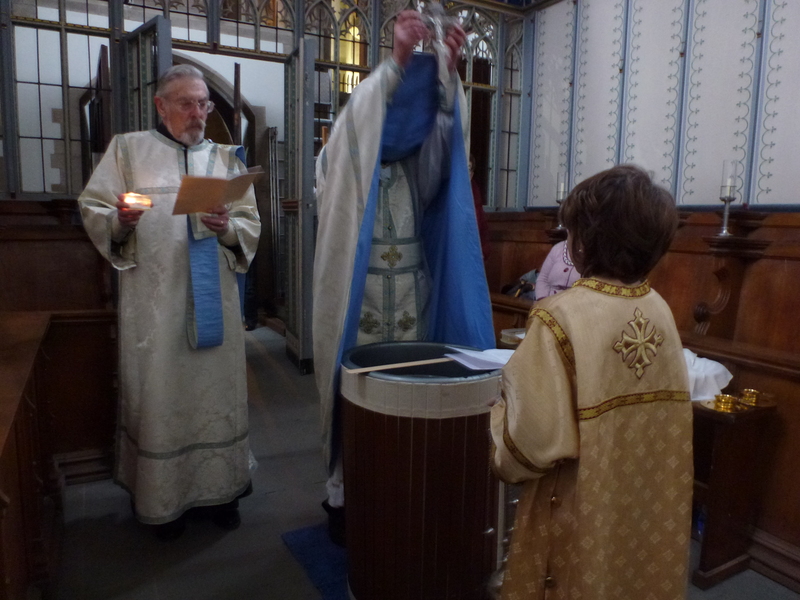 Pentecost 2013 – The Tent Chapel “houses” its First Service! 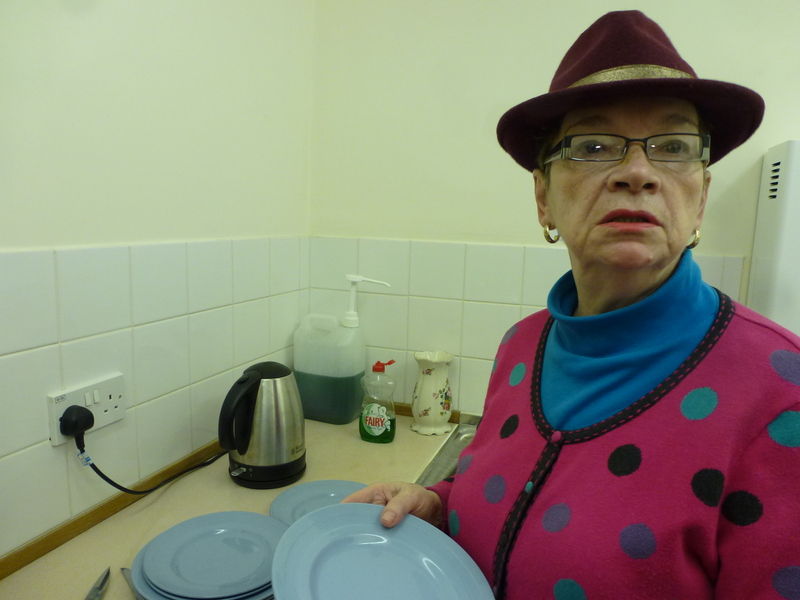 Please click on this link to see pictures. If you view as a slideshow, you will see the tent being put up, being held up through a stormy Pentecost Liturgy, and being taken down at the end. 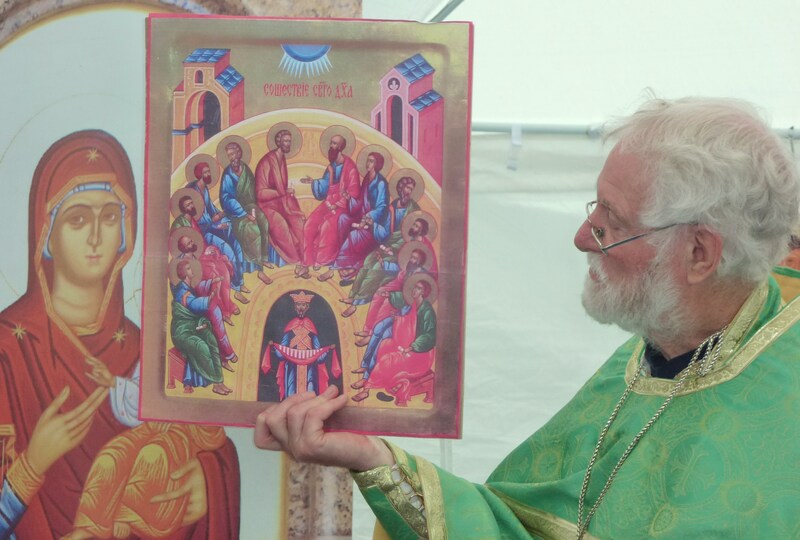 Here Father Edwin preaches his first (we think) sermon in a tent, (inspired by the icon of the feast) with the clear encouragement of the Mother of God. In honour of St Parasceva the New (read about her life here), whose feast day is this Sunday (October 14), matins will be replaced by the singing of an Akathist to the Saint. St. Parascheva was born at the beginning of the 11th century A.D. into a wealthy, noble, and pious Christian family in the town of Epivat (now in Turkey) on the shores of the Marmara Sea. At the age of ten, while attending the liturgy in the “Church of the Holy Theotokos”, she heard the words, “Whosoever will come after Me, let him deny himself and take up his cross, and follow me” (Matt 16:24). The words of the Lord had a profound effect on the young girl, and they became the subject of her meditations. The future St. Parascheva began to dress poor people in her expensive clothes but her parents objected, finding the girl’s charity more than they could understand or support, and trying to get her to stop. By the age of fifteen, after her parents had died, she entered a convent in the Jordan desert and there lived in strict asceticism. She returned to her homeland two years befor eher death, at the young age of twenty-seven. Miracles by her grave revealed her sanctity, and later her in-corrupt relics were moved to Bulgaria. In later centuries she was moved to Romania, back to Bulgaria, then on to Belgrade, and on to Constantinople, in order that the relics were kept safe from Ottoman invaders. Finally, in 1641, the relics were secretly transferred from Constantinople, now under Turkish rule, all the way to Iasi (Jassy) in north-east Romania in recognition of help given to the Ecumencial Patriarch by Moldavian Prince Vasile Lupu. And St Parasceva’s in-corrupt relics remain in Iasi to this day, where hundreds of thousands of pilgrims travel each year to venerate them. The travels of St Parasceva’s relics show how universally loved she is within the Orthodox world. As well as various cities in Romania, churches dedicated to her exist in Sofia (Bulgaria), Paloumba (Greece), Lviv (Ukraine), Belgrade (Serbia), Dubica (Bosnia), and Banovci (Croatia). 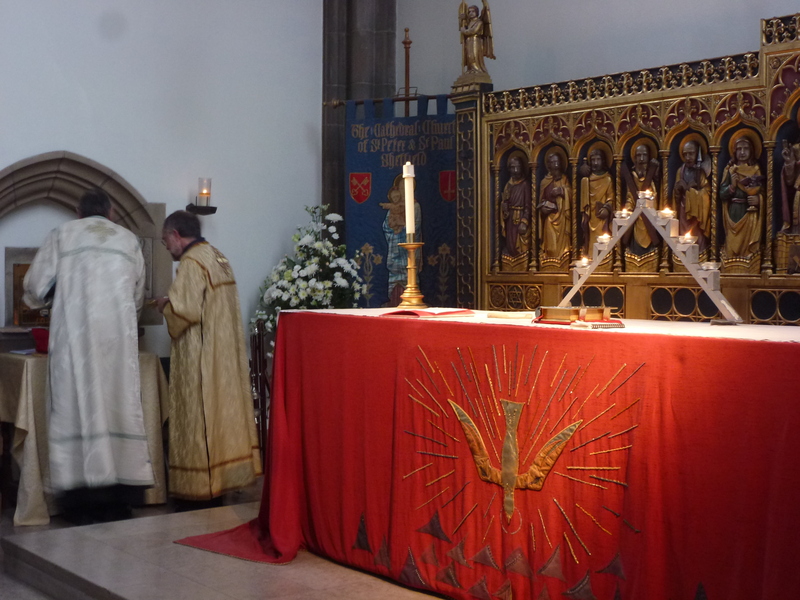 It is only natural that a diverse parish like St Cuthbert’s would honour St Parasceva too. the intercessor for the afflicted. by the command of God. An akathist is a hymn comprises 24 stanzas. The stanzas alternate between short, ending with the refrain Alleluia, and long. The first Akathist Hymn was written in honour of the Mother of God in the 6th century A.D by St Roman the Melodist. Later, a massive besieging army of Persians and Scythians were miraculously turned away from the walls of Constantinople. The relieved citizens believed their deliverance had come through the intercessions of the Mother of God, and so sang St Roman’s praises to her all night without sitting down – and so the hymn became known as the Akathist (Gr. meaning “without sitting”). Since then, many other Akathists have been written, addressed to God, Jesus Christ, or a particular Saint: the words in each are different, but they all follow the same structure as the original Akathist Hymn. I frequently find this blog thought-provoking and helpful. 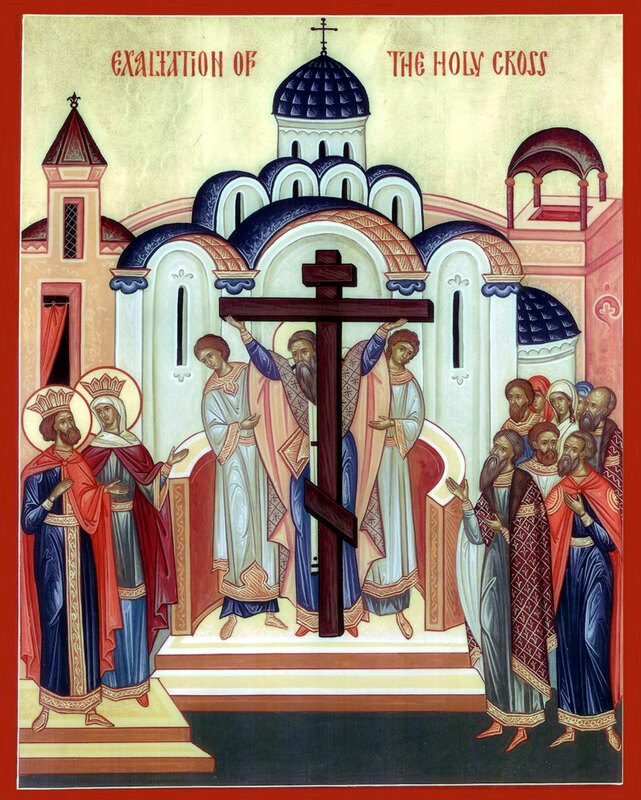 Click below for today’s post on the Feast of the Exaltation of the Cross. Glory to God for All Things is a blog written and maintained by Fr. Stephen Freeman. All unsigned posts are written by him. Fr. Stephen is an Orthodox Priest under the jurisdiction of the Orthodox Church in America. He serves as the Rector of St. Anne Orthodox Church in Oak Ridge, Tennessee. Check Calendar for service dates and times.